It’s a Mini-Hunt with Five Gifts Inspired by the Sea! 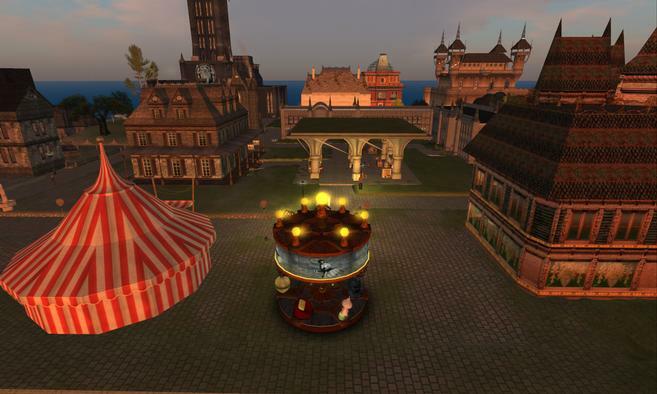 The only Victorian Steampunk-themed grid-wide hunt in SecondLife is produced by Historical Hunts. Voted the BEST GRID-WIDE HUNT (STEAM X) and BEST HUNT ORGANIZER in this year’s HUNTIES Awards, this is our sixth year contributing, and this year we’re stop 70. We always do a mini-hunt: this one may be the most amusing ever! Our skylevel is always out-of-character (OOC), so hunters need not fear they’ll disrupt the roleplay. The hunt always begins at the Steampunk Information Centre in Mieville Doyle and runs the entire month of March. However, if you’d like to visit NeoVictoria right now, here’s the SLUrl: http://maps.secondlife.com/secondlife/NeoVictoria/16/128/1003. Our commemorative calendar is packed with images of sea and sky from our Steampunk storyworld. This charming studio is perfect as a skybox or houseboat; its tiny living at its best! An undersea poser, perfect for your grotto or shipwreak. An amusing wearable, or a rezzable wall-sconce …you decide! Got a sunken treasure that needs a guard? This modable object rezzes a dangerous-looking fish when someone walks into it! Perfect addition to any undersea theme. Credits: As always, the items were built by members of our community. Thanks to QuarkZen for the skybox; to Jhaesoph Foxdale for the fish-trap; to Asil Ares for the calendar & mer-pose; and to MadMechaMessiah for the angler headlight and for crafting the hints!